Exchange your vows with a breathtaking view amidst elegant yachts in the exclusive Sentosa Cove enclave. 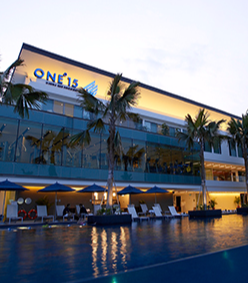 At ONE°15 Marina Sentosa Cove, think beyond the norm. March-in to your wedding in style via a lavish yacht and exchange your vows with a stunning view of the marina. Whether you dream of a grand wedding banquet in a pillar-less ballroom or an intimate outdoor celebration, we have just the right venues to match your vision of a perfect wedding. Have the wedding you've always dreamt of. The most important day of your life deserves a unique and extraordinary setting. Hold a truly unique wedding on the water at one of Asia's Finest floating bar, Boaters’ Bar. Located within the heart of the marina, it boasts a breathtaking setting for small gatherings. A hidden oasis on the top floor of the Clubhouse – the Rooftop Terrace is perfect for those who fancy an outdoor event venue set against a dreamy and idyllic landscape. 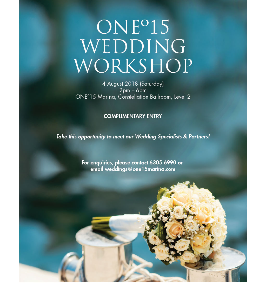 Curate extraordinary moments for your wedding day with a vast selection of bespoke event venues on Sentosa Island featuring natural light along with inspiring views. 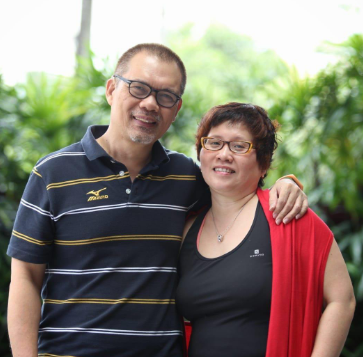 Our seasoned event professionals’ passion and dedication to their craft know no boundaries. Allow us to present you with the ultimate framework that breathes life into these occasions. Here at ONE°15, hospitality goes beyond service. It’s a promise.